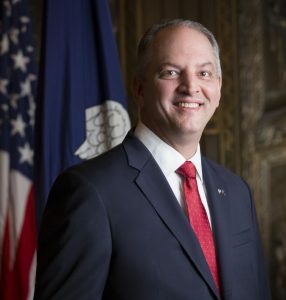 We want to call your attention to a letter sent Friday, June 16, to Senate leadership from a bipartisan group of seven governors, including Louisiana’s own Gov. John Bel Edwards. The letter urges the Senate leaders to prioritize implementing fixes to the marketplaces and abandon major changes to Medicaid that would significantly curb federal funding to states. As you know, the House-passed bill would cap federal spending for the Medicaid program, which would shift costs to states and likely lead to enrollment and benefit cuts for children and their families.